I haven't searched the block-chain yet but here is proof that it DID exist . . . . Anyone able to clue me in? Thanks! This post received a 1.0% upvote from @randowhale thanks to @mark-waser! For more information, click here! Huh? 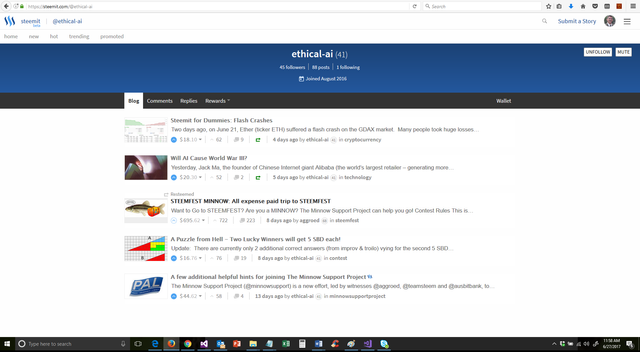 That's weird, have you gone onto the Steemit help channel in chat? Not sure if it is a glitch or the second back up STEEM chain that it gets lost in? 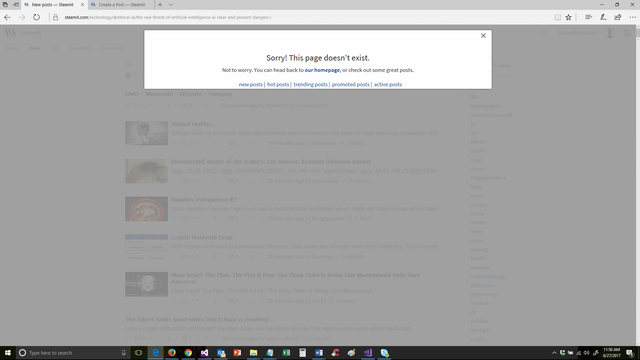 In another tab, have the Submit Story open as a back up just incase this happens again. I was able to submit the post the second time since I have heard other people randomly having the same issue. Sorry about losing your thoughts and time, hopefully you can still be inspired to remember and rewrite it! 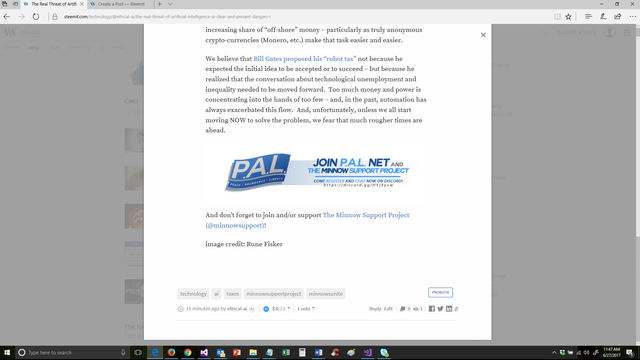 Fortunately, I write in Word and only do clean-up, pictures and links in the Steemit editor. Do you know anyone else this has happened to? I'm sure that the developers would love to know if there is a common thread. This happened to a lot of people. I think it's due to witnesses missing blocks. I still haven't found a full explanation by anybody. i use a word processor to write my articles just in case.